Soft, luxurious and glossy. Strong, too! Works well for socks, mitts, and shawls. 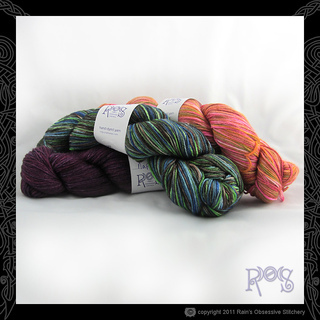 This yarn is also available in a DK weight.